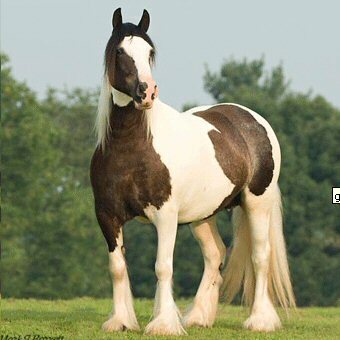 What can I say about Cushti Bok? 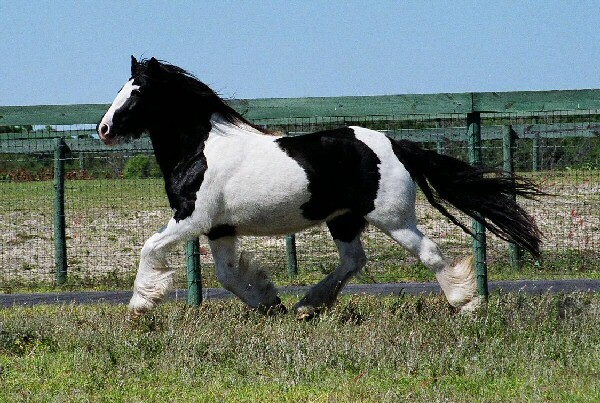 This boy, or should I say “old man”, is quite the character. 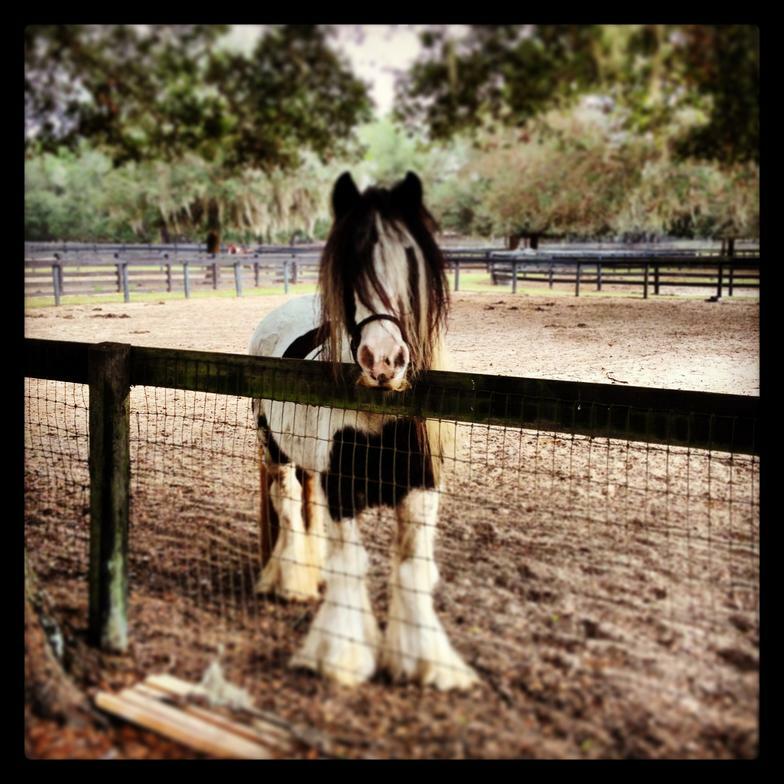 He loved it when Dennis hosted the farm tours, because he knew he would get lots of cookies and attention from the participants of the tour. 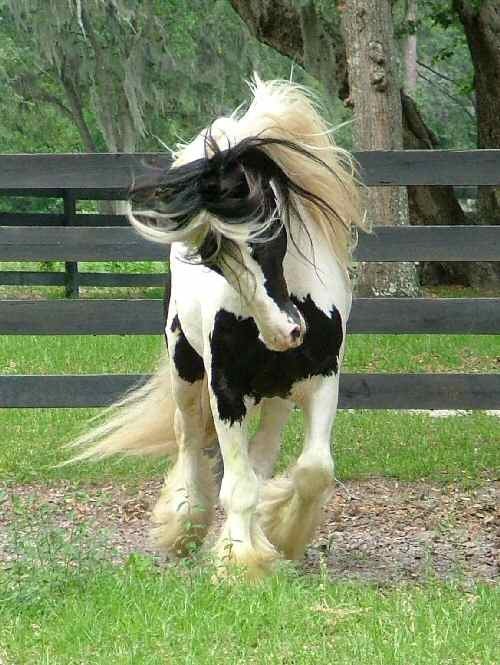 He loved to pose for pictures, every time a camera was focused on him he just seemed to know and held a pose. 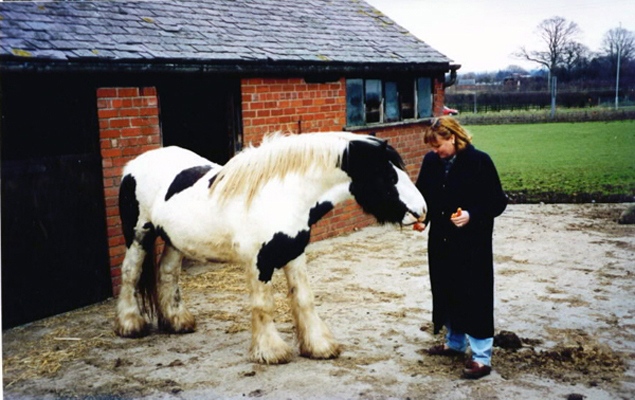 He was a very lively horse even despite his age, and was just absolutely a treat to watch run around in his paddock. 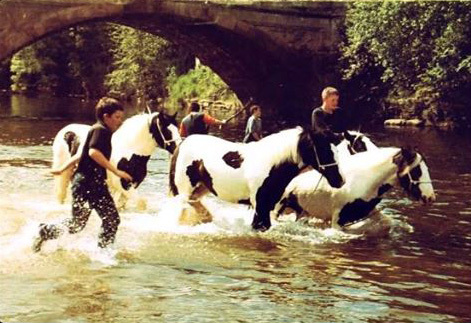 We became the first Americans to ever attend the oldest Gypsy Horse fair in the world, Appleby. 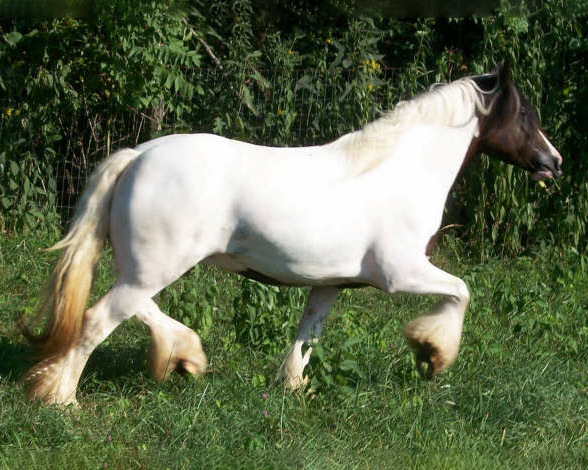 Cushti Bok was—as the Gypsy predicted—better than any horse we saw there. 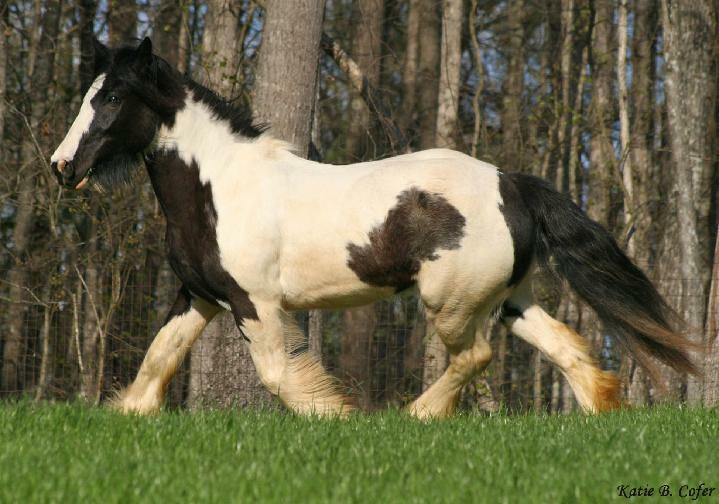 We traced his genetic history through three countries. 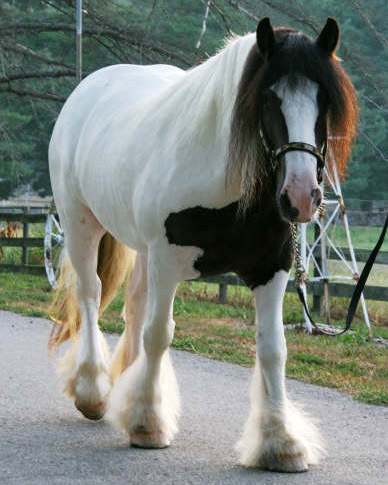 We uncovered the vision that created him and his breed—The vision to create the perfect caravan horse or Vanner was born soon after World War Two. 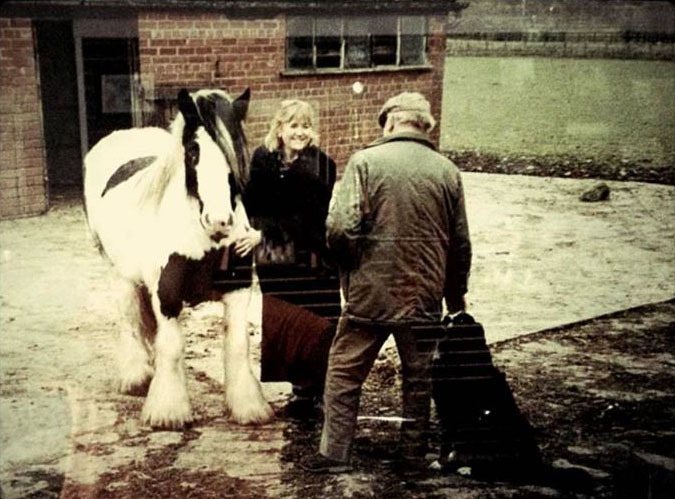 We traced the breed’s genetic origins back to the two stallions that inspired it: Sonny Mays and The Coal Horse. 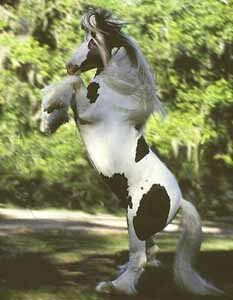 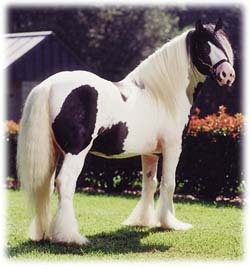 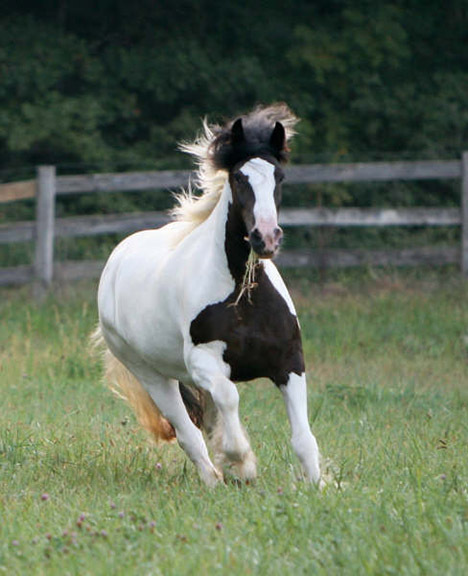 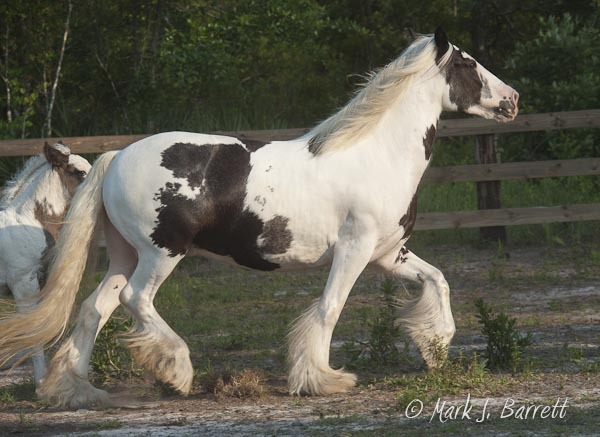 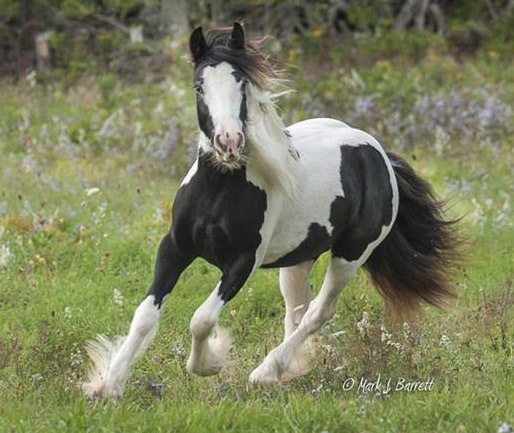 We named the unknown and unnamed breed the Gypsy Vanner Horse, with the approval and blessings of Gypsies. 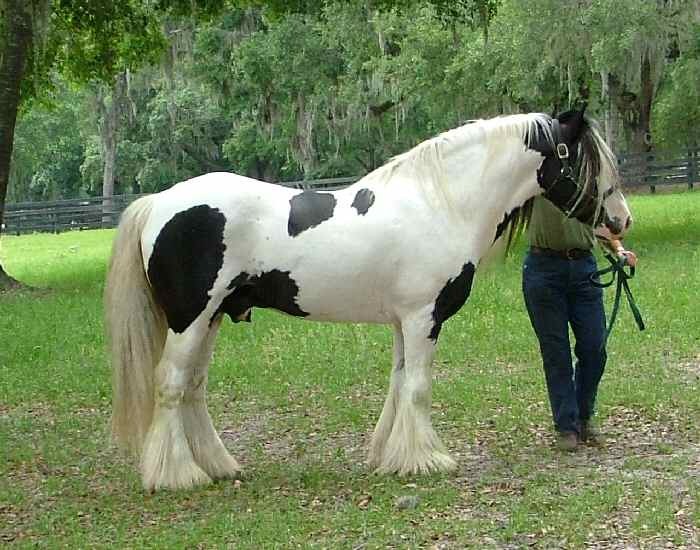 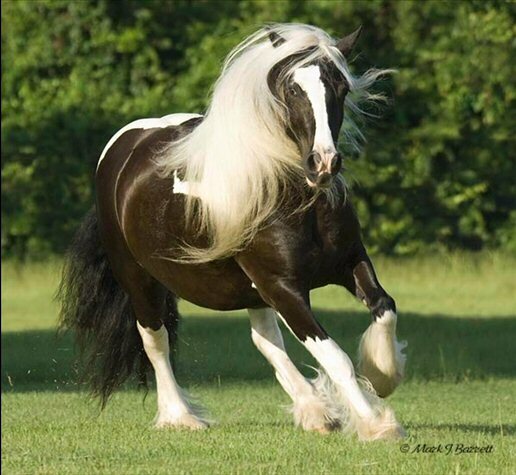 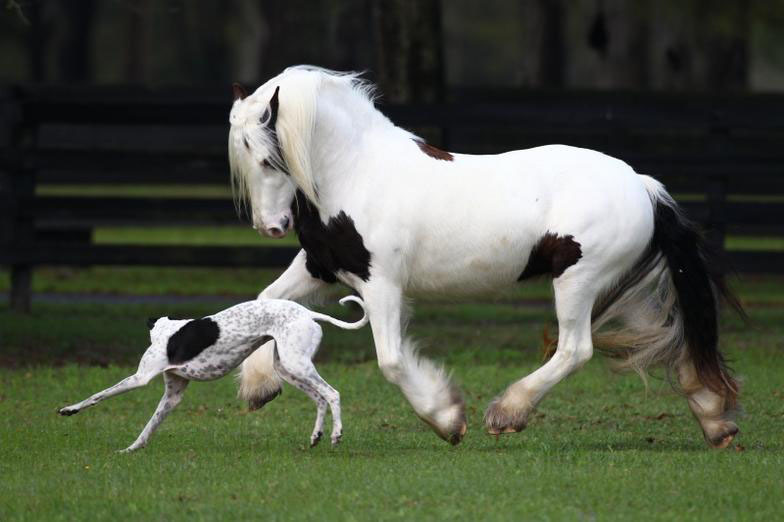 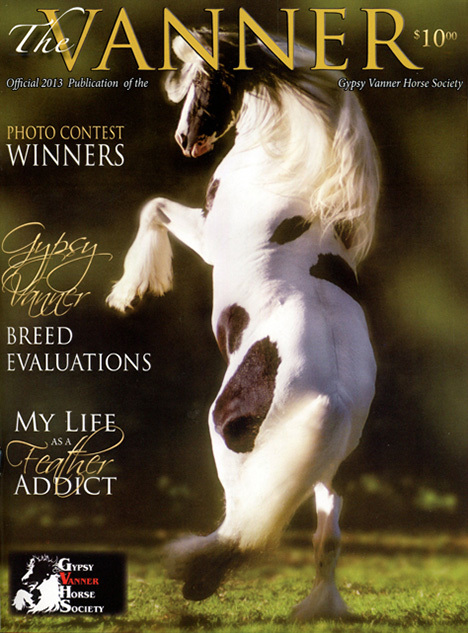 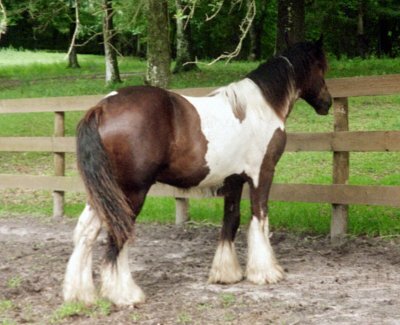 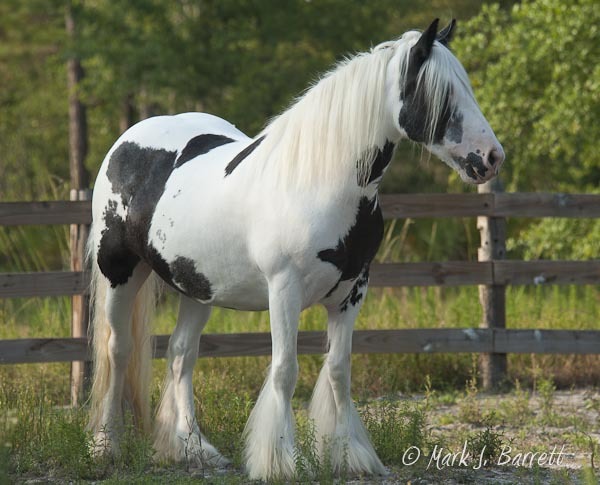 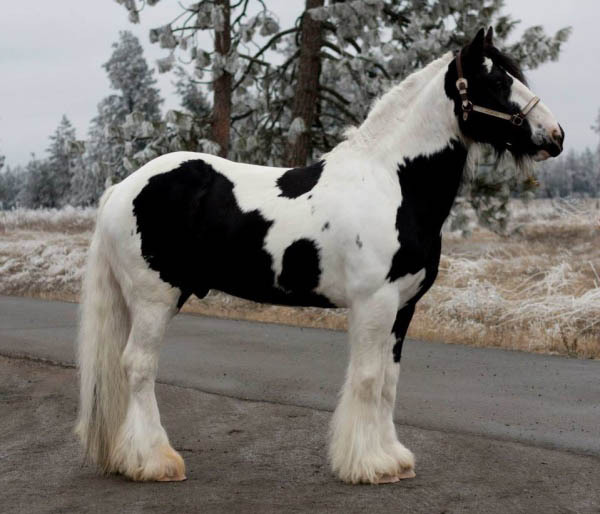 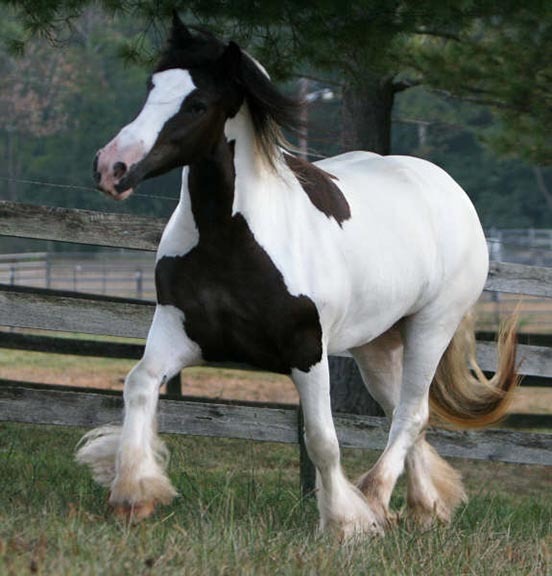 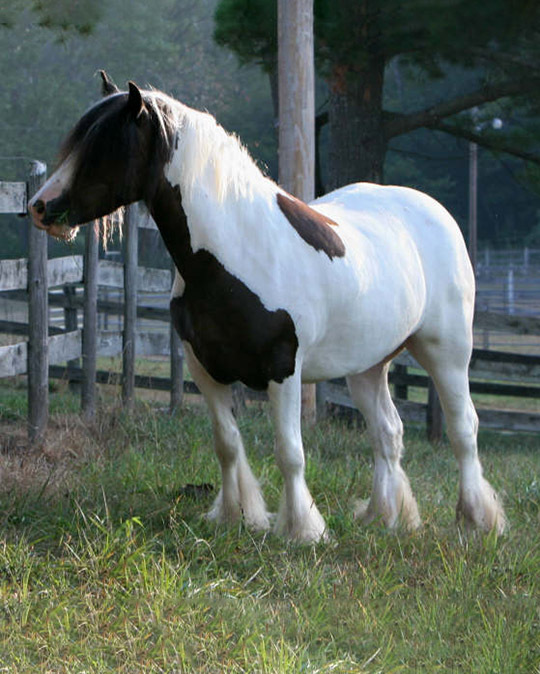 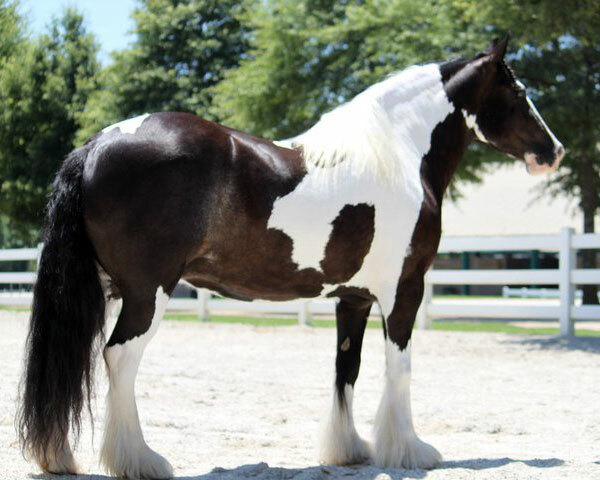 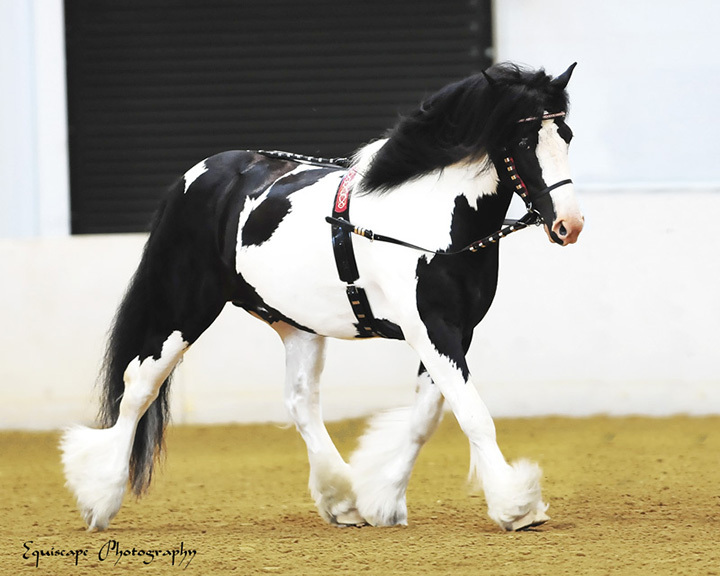 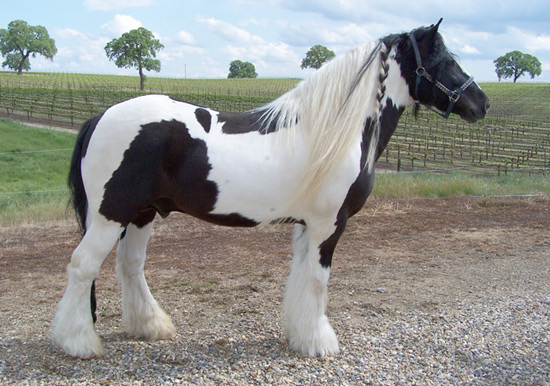 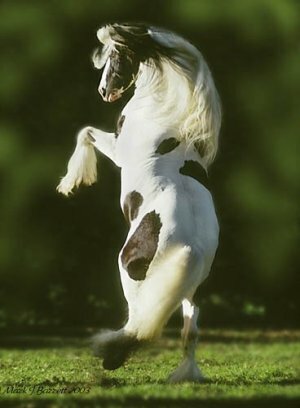 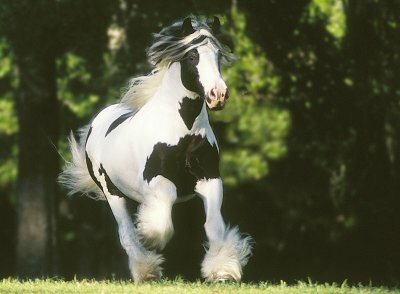 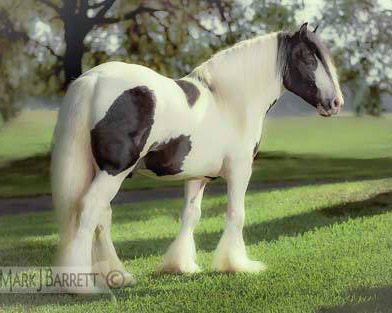 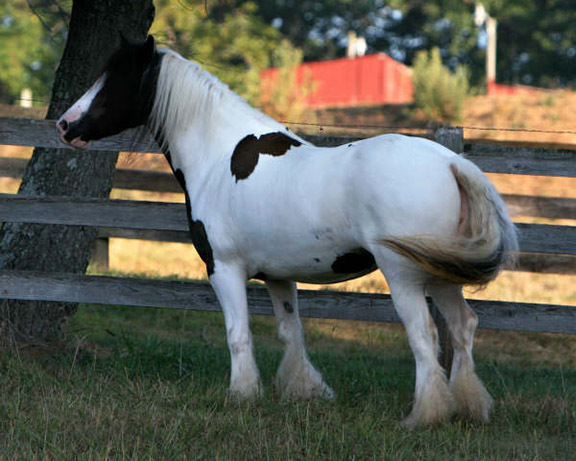 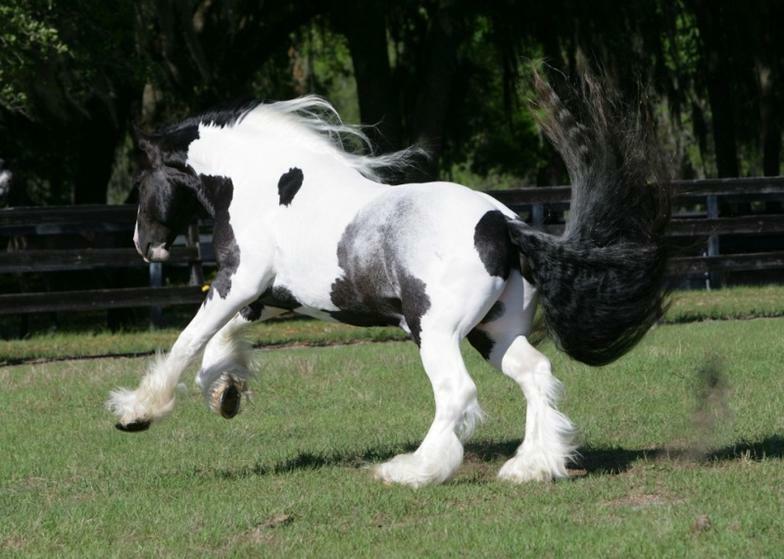 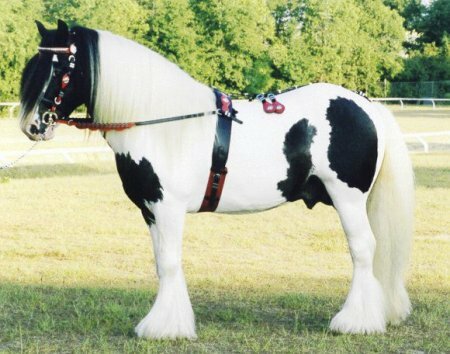 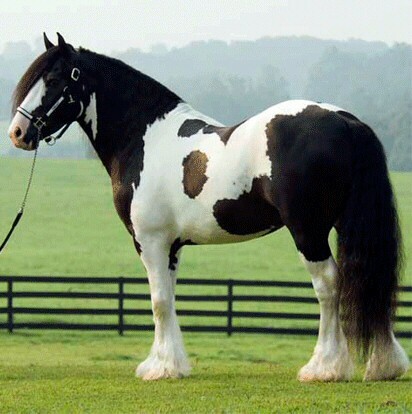 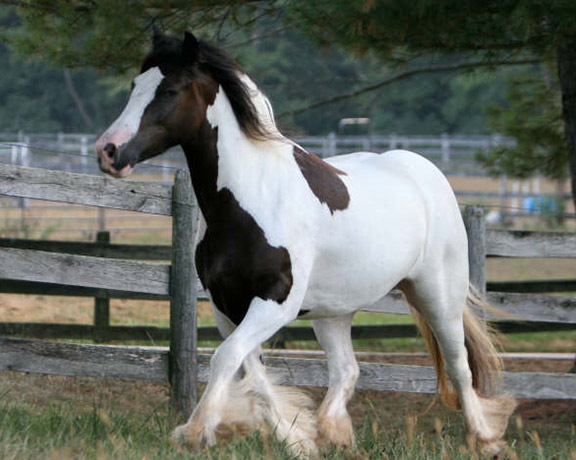 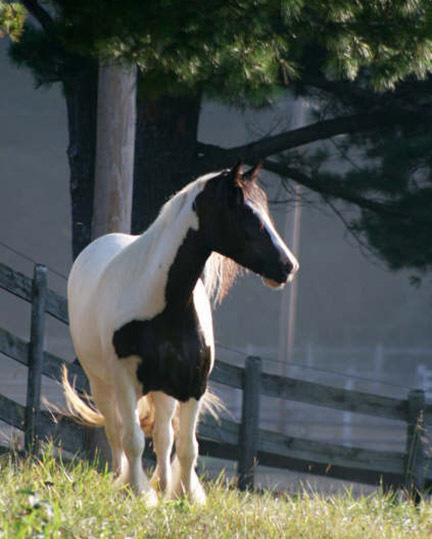 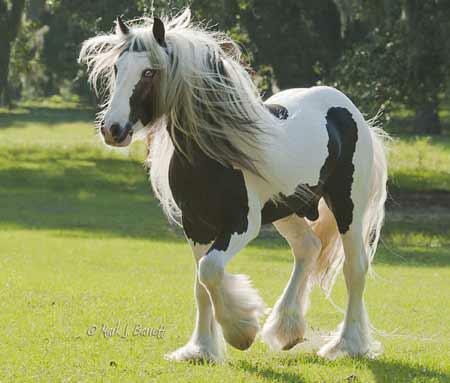 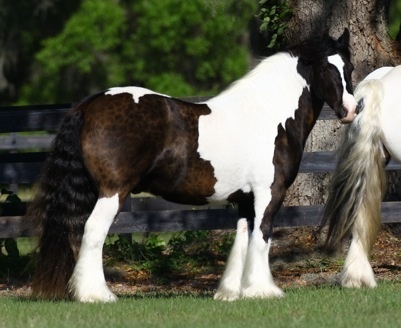 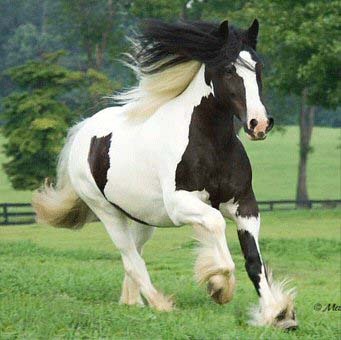 We established the first breed registry in the world for a selectively bred horse raised by Gypsies: The Gypsy Vanner Horse Society. 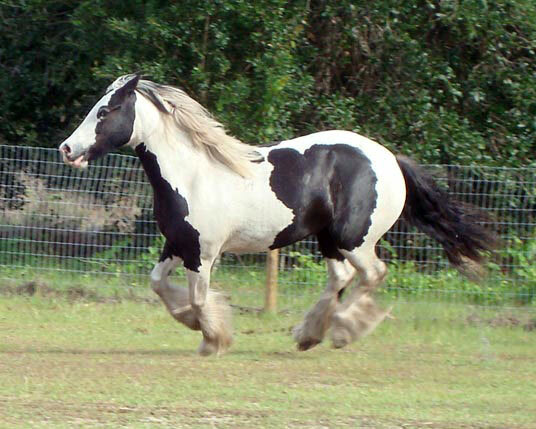 Cushti Bok is GV00001F (the ‘F’ is for foundation). 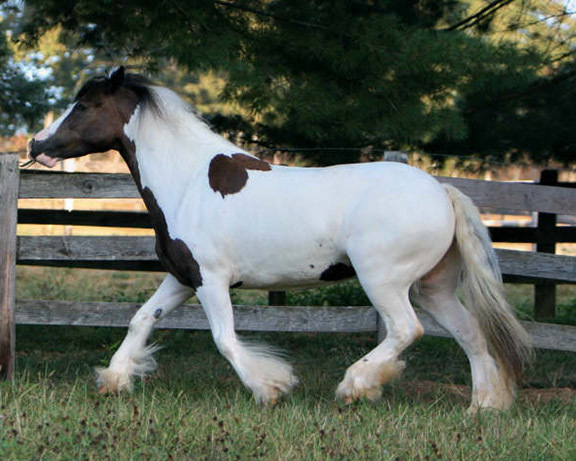 To this day, the best breed specimen I have ever seen was a daughter of Cushti Bok. 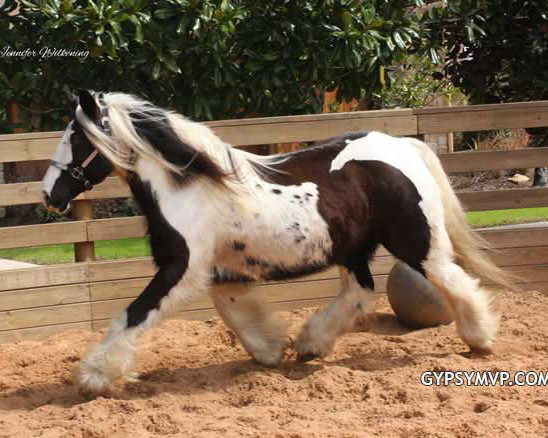 The Gypsy who owned Cushti Bok was holding her back as a gift to his son. 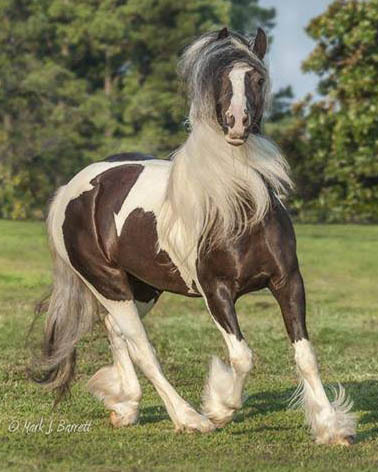 “He’s a one off” said the proud man with words and accent unique to his heritage.